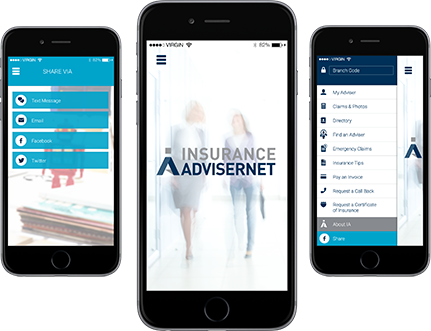 ACE Insurance Advisers is an Authorised Representative of Insurance Advisernet, one of Australasia's biggest General Insurance Brokers. Being an Insurance Adviser in Sippy Downs our knowledge of the local insurance industry is second to none and our experience in handling insurance for many thousands of customers enables us to provide advice you can always trust. It also means you'll benefit from access to unrivalled financial strength, business efficiencies and buying power spanning every major insurer in Australia and New Zealand even access to major overseas insurers if and when required. We specialise in Professional Indemnity Insurance and Liability Insurance as well as a broad range of insurance products. Tailored: We select the most competitive and comprehensive cover for your needs. Simple: Our qualified brokers do all the hard work for you. Peace of Mind: We make sure that with the right policy, you will be protected. Customer Service: You can relax as we manage it all, from ‘Quote to Claim’. Our business has been running for over 10 years servicing clients Australia wide. We focus on SME clients and provide them with tailored insurance solutions to meet their needs. Amanda was born in Brisbane and began working in insurance in 1994. After transferring to Sydney with Suncorp in 1996, Amanda left the insurance industry to be a casino croupier at Star City before rejoining insurance in 1999 working for Willis. Amanda then worked at Aon specializing in Professional Indemnity Insurance before joining IAA in 2003. In 2007 Amanda and her husband moved her business and themselves to the Sunshine coast. Amanda is Tier 1 qualified, and has a diverse book of SME clients but still specialises in Professional Indemnity Insurance. Kellie is new to the insurance industry however is experienced in sales and business having worked as a representative of BWS travelling far and wide through her territory. Kellie is married with 4 kids, so she knows what’s it’s like to be busy and to handle multiple projects at one time. She is thoroughly enjoying working with Amanda as her mentor to learn the nuances of the insurance industry. Phillipa has been in the insurance industry for the last seven years as an Assistant Account Executive after moving from New Zealand with her family in 2010. After settling into Australia she was employed in 2011 by in a Central Queensland brokers with a diverse book of clients, where she was taught the ropes by an extremely knowledgeable and well respected broker. Prior to insurance she has had a range of occupations from Retail sales to Office work and manual labour. Personally, Phillipa has been married for nearly 20 years and has a teenage son and two fur children. Phillipa has expressed her deep gratitude to Amanda and Kellie for really embracing her into their small team and looks forward to the future with her team members. If you or your business is within an industry that services information or advisement you are at risk of providing your clients with incorrect or ineffective information. In order to protect your business and your income from losses, professional indemnity is one of best covers for investment. A range of industries are eligible and recommended to purchase professional indemnity insurance including professionals, media professionals, real estate professionals, charity groups and even leisure professionals. Professional indemnity insurance is a type of cover that specifically protects you and your business against claims made by clients of negligence, malpractice, misconduct or breach of duty. Often these claims become a legal issue which, become costly and results in financial loss for the business. Each industry has unique set of risks; therefore, there are unique insurance plans to mitigate them. Professionals such as accountants require professional indemnity insurance in order to specifically provide protection for risks such as damages to third parties from breach of professional duty or omission. Real estate professional indemnity insurance provides financial protection and legal for agents that provide misleading or false information to clients or omit information that leads to emotional, physical or financial losses. Protect you, your business and your income, both financially and legally through professional indemnity insurance. Liability insurance will protect you from any potential losses from your own personal actions such as negligence, the condition of your property has caused a member of the public to be injured or killed, a person’s property has been damaged, destroyed or they have suffered a loss because of your services or advice. In order to have the correct policies to protect you of any potential claim/ lawsuit, there are three main forms of liability insurance Public Liability, Professional Indemnity and Product Liability. Public liability insurance will cover a business that deals with members of the public from any legal actions taken against them, in the situation that you have been found liable for the death, injury, loss or damage of property as a result of your negligence. If your profession is to give professional advice or perform services to members of the public, it is in the best interest for your company for you to have professional indemnity insurance to protect you from legal action taken against you if someone has suffered a loss after following your professional advice or has had a loss as a result of your services. When Manufacturing, selling or importing products it’s important to have product liability insurance in the situation a person had lodged a lawsuit against you for negligence or intention to cause harm to another person or business. In most cases this claim can be taken without the person having any evidence of your intent to harm or negligence. In order to comprehensively protect your business from the risks that are posed, it is crucial to consider investing in liability insurance for legal and financial security. ACE Insurance Advisers Pty Ltd is a Corporate Authorised Representative of Insurance Advisernet (IA) founded in 1996. IA are a national organisation in both Australia and New Zealand and this allows ACE Insurance Advisers Pty Ltd the benefit of maintaining their local presence whilst being able to be part of a national group for products and services needed by their customers in todays complex business world. Thank you for contacting ACE Insurance Advisers Pty Ltd! Your message has been sent successfully. One of our skilled Advisers will be in touch with you shortly. I was more than happy with the service and genuine priority given to my claim, when I lost my wedding and engagement rings. The sensitivity displayed by the ladies at Ace Insurance in regard to this claim was outstanding and the effort in which they fought on my behalf to obtain the best possible outcome was above and beyond. Dealing with this company was easy, effortless and I was always kept up to date with the progress of the claim. I would highly recommend this branch of Ace Insurance for any insurance needs you may require as you will be treated with care and consideration always. ACE Insurance Advisers Pty Ltd is a corporate authorised representative of insurance AdviserNet Australia Pty Limited. Corporate authorised representative number 340172.